After work today, I went to a smaller, local grocery store because it is often better than the big box store I go to in terms of carrying unique products and flavors. My goal was to use up some of my free yogurt coupons. I found everything I wanted and tried one of the yogurts this afternoon. 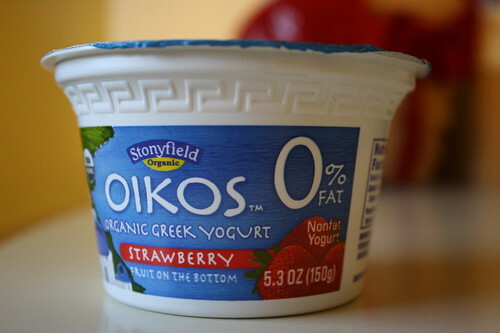 Until today, I had never tried the Oikos line from Stonyfield. 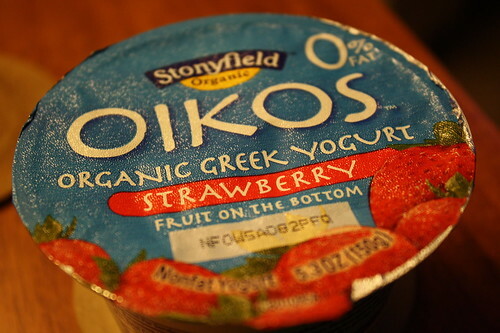 I picked out the Stonyfield Oikos Organic Greek Strawberry yogurt. It was so creamy and delicious! 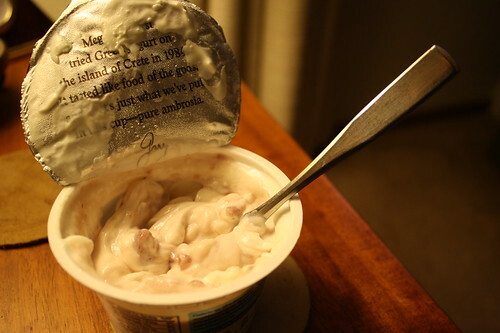 I think it may have been one of the creamiest yogurts I have ever had. 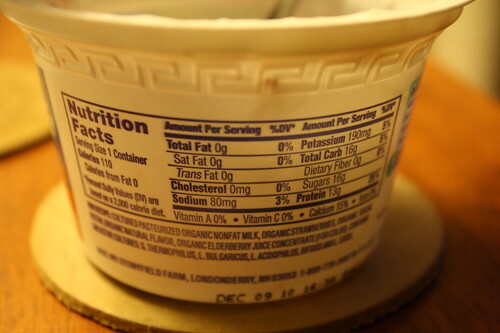 It didn’t taste as thick as other Greek yogurts. I definitely liked the creaminess! Thanks to Stonyfield for sending me the coupons to try this yogurt out. I have been really impressed with all of their products. Plus, I love their Rewards program. 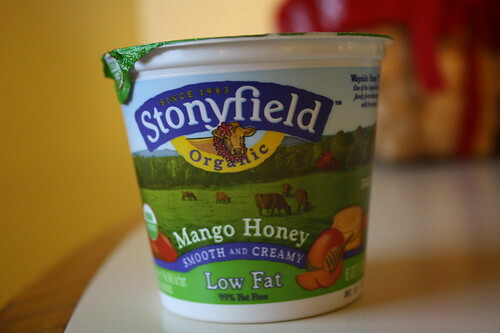 You can try some for free if you win my giveaway that ends tomorrow morning at 8 a.m.
Over the weekend, I will try the Stonyfield Mango Honey and I’ll let you know how it is. Now enter to win some coupons!